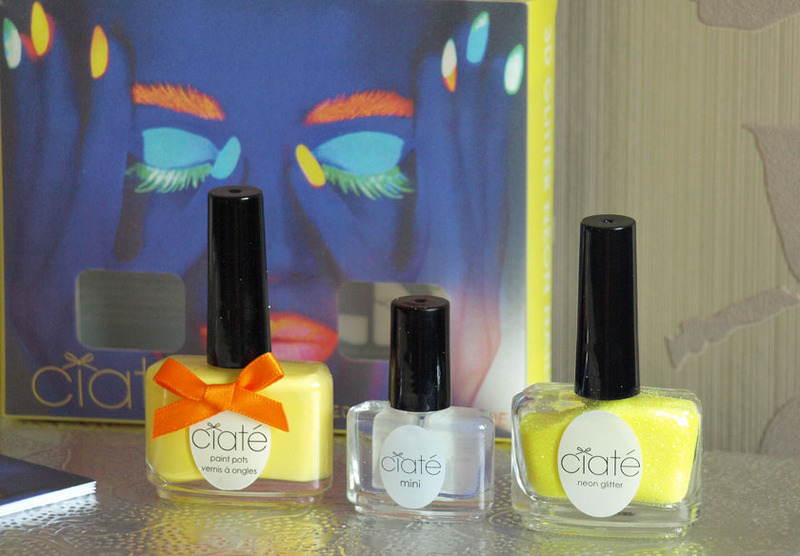 I am not party animal, so I won't be showing off my nails in UV light in a club, but if it is your kind of thing- why not? 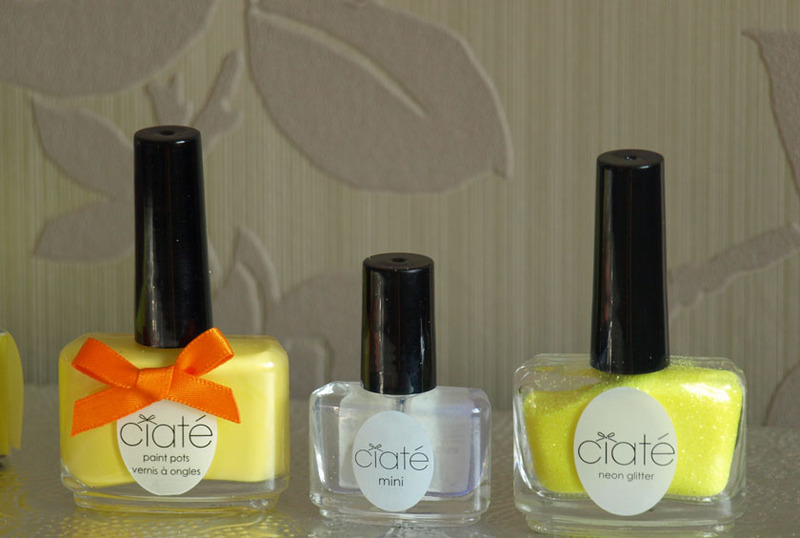 You simply paint your nails with the base colour, sprinkle some glitter on top (optional) and add the UV Top Coat. 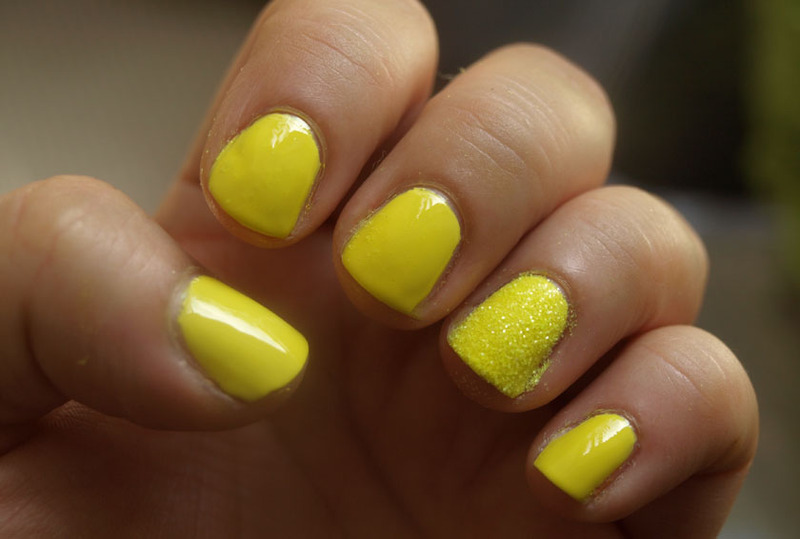 The glitter is very fine, so it will probably end up allover you hands and face, so be careful :) haha. 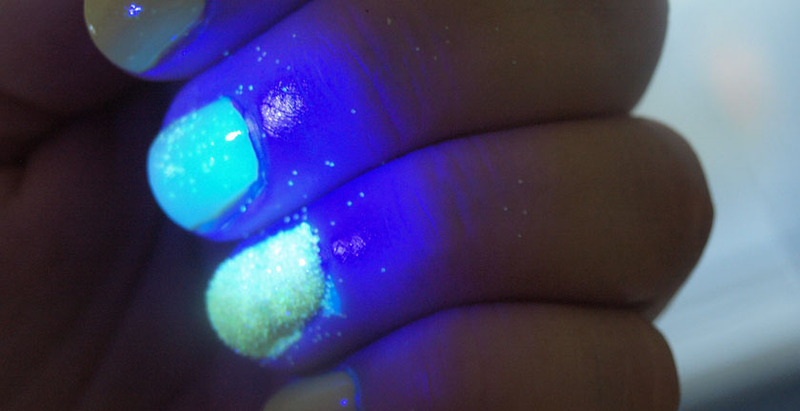 You can see on the photos below, that the glitter glows under UV light too, creating a unique effect. 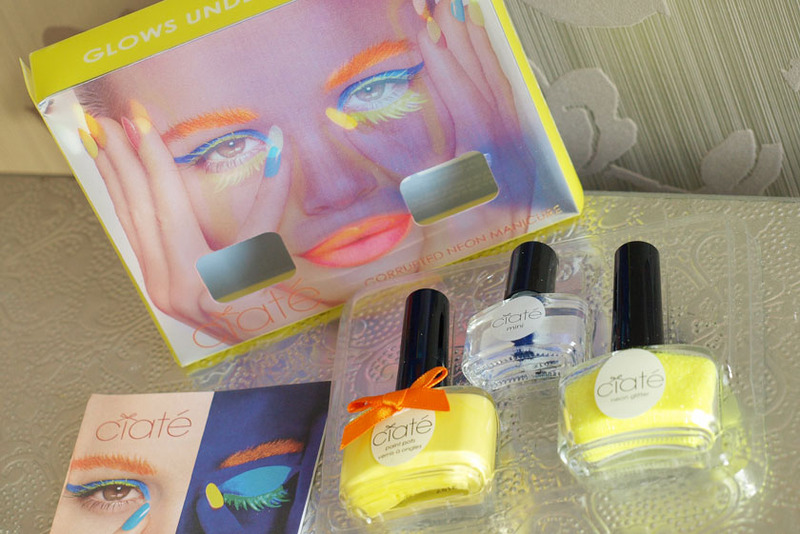 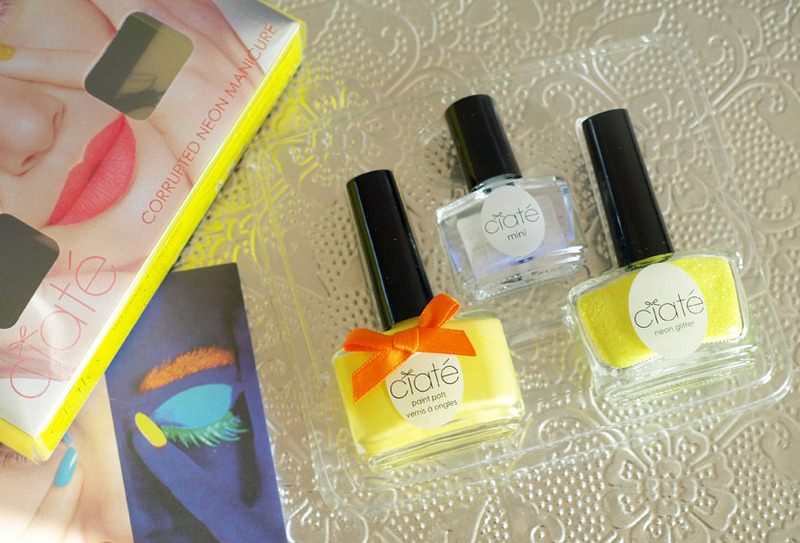 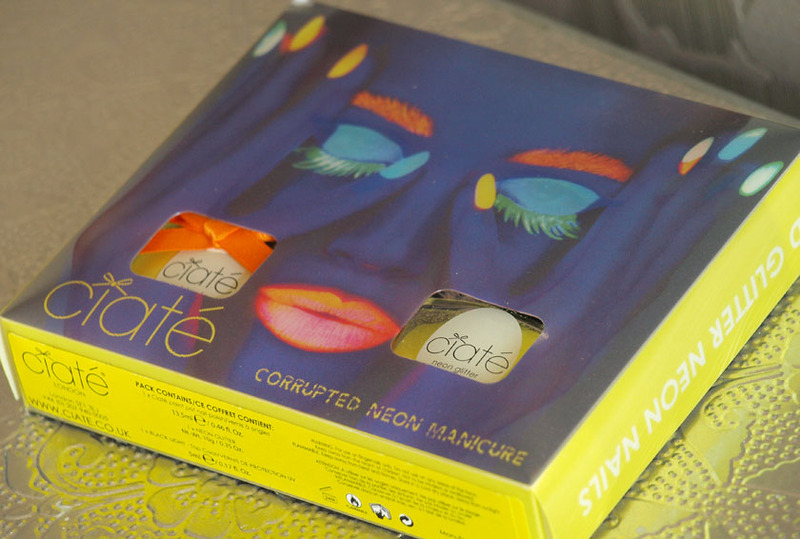 The Corrupted Neon Manicure Kits are available from Selfridges and Asos.